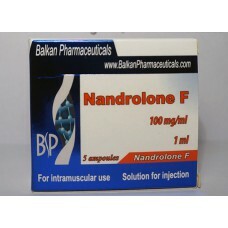 Nandrolona F from SC Balkan Pharmacueticals is an anabolic steroid based on phenylpropyanoate nandrolone. It differs from the classical "deca" with its shortened ethereal chain. In practice, this means a faster absorption of the substance and the need for frequent injections (shorter exposure times). Androgenic activity of nandrolone phenyl propionate is reduced compared with testosterone, however its anabolic properties are also rather moderate. Nandrolone phenylpropionate is one of the oldest steroids. Use it started back in the 60's of the last century. Initially, the drug was prescribed for the treatment of growth retardation, muscular dystrophy, prevention of breast cancer and postoperative recovery. And today Nandrolone Phenylpropionate can be found in pharmacies under various names. However, it is sold exclusively on prescription, and the price for the declared dosage is fabulous. Moderate, but stable growth of muscle mass. Nandrolone gives a qualitative increase. The phenomenon of rollback at the end of the reception is absent or completely insignificant. Fat burning. Phenyl propionate nandrolone stimulates the body to use fat stores as an energy source. Synthesis of collagen. Due to the increased formation of collagen, the drug strengthens ligaments and joints (joint fluid is formed). Nandrolone phenylpropionate is its structural modification. A new substance is formed by adding phenylpropionate to nandrolone through a 17-beta hydroxyl group. After entering the bloodstream, the ether is disconnected and the nandrolone remains free. Nandrolone Phenylpropionate is designed in such a way that the peak saturation of the body with the active substance occurs in a day or two after the injection. There is enough debate about how to take Nandrolone Phenylpropionate. Basically they relate to the frequency of injections. For men, the recommended dosages are from 100 to 200 milligrams a day. The course of nandrolone phenylpropionate lasts from 6 to 8 weeks (this is enough even for advanced athletes in order to build muscle mass). It is not recommended to tighten it: side effects may occur. Do not forget that phenylpropionate is put much more often than decanoate. Nandrolone F in sparing amounts can be used even by women. 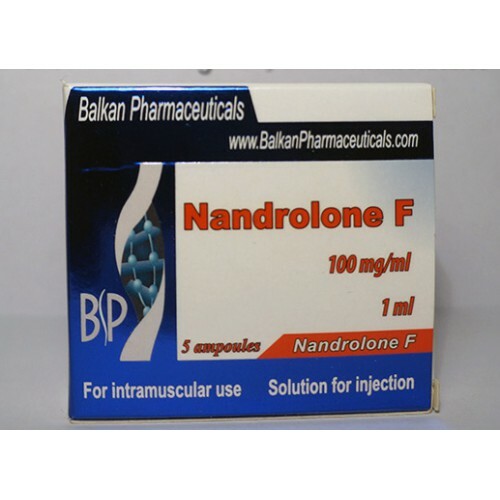 The maximum recommended single dose of Nandrolone F injection is 100 milligrams with a "rest" of three days. Phenylpropionate is better than decanoate in that, due to short periods of its withdrawal from the body, it is possible to track in time the first signs of virilization and stop taking it.